The BSBI uses its data for scientific research and to provide services to academia and conservation and land management organisations. Find out more in this note about BSBI science by Dr Kevin Walker, BSBI's Head of Science. *NEW* Kevin Walker co-authored a paper just published in Nature. Click on the link to read it in full: 'Extinction risk from climate change is reduced by microclimatic buffering'. 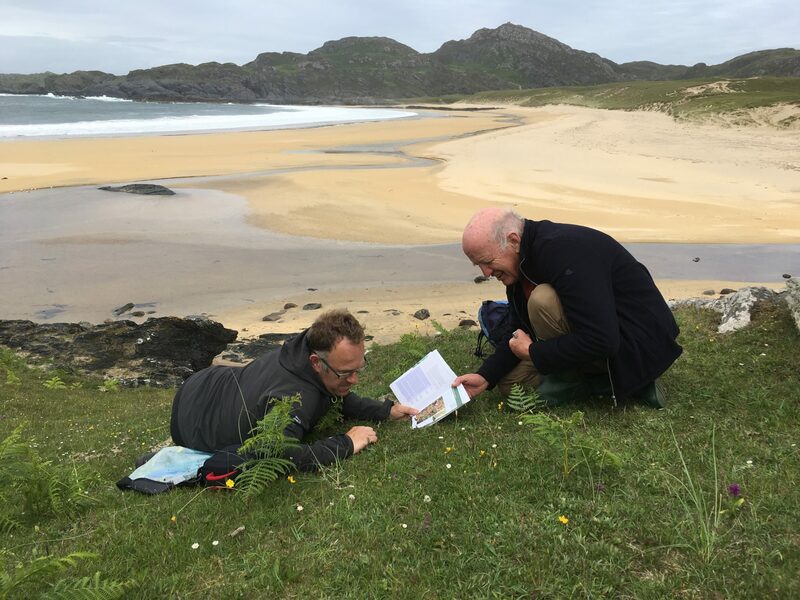 Kevin Walker and Pete Stroh have been on the Isle of Colonsay recording towards a new Flora of the island Read about their visit here. Kevin Walker is a co-author on 'Overcoming the challenges of public data archiving for citizen science biodiversity recording and monitoring schemes' published this month in the Journal of Applied Ecology. A bit more info about the paper here. Pete Stroh says: "The Species Status Assessment Group has just updated the GB Red List for vascular plants. Download your copy from the Resources page. Kevin Walker is quoted in an article published today (14th May) by Roger Harrabin for BBC Science News, about the impacts of nitrogen deposition and over-zealous cutting on plant assemblages found on roadside verges. There is also an article in The Telegraph which uses the same quote from Kevin. Kevin Walker co-authored a high impact paper titled 'Global rise in emerging alien species results from increased accessibility of new source pools' published in the prestigious Proceedings of the National Academy of Sciences of the USA. It uses BSBI data which also appear in David Pearman's recent 'first dates' book; access the paper here (subscription required) and there is a note about the paper on the IUCN News website here. Kevin Walker also co-authored a paper 'Seed bank dynamics in restored grassland following the sowing of high- and low-diversity seed mixtures'. More here. Pete Stroh co-authored a paper on Field Fleawort as an indicator species for longterm changes in lowland calcareous grassland plots. You can download the full paper free of charge here. Kevin Walker co-authored a paper titled 'Risk management to prioritise the eradication of new and emerging invasive non-native species'. Click here to download the paper, published in the August issue of Biological Invasions. Pete Stroh has completed eight new Species Accounts including Orobanche reticulata and Medicago minima. Kevin Walker is revising a paper on threatened species on SSSIs for Biological Conservation (assisted by Pete) and "completing a paper on analysis of traits of threatened grassland species". Pete Stroh has been "editing and formatting completed species accounts for Natural Resources Wales and Natural England for a future Scarce Grasslands book". He also liaised with County Recorders across England over their Annual Reports for 2016. Kevin Walker says he's been "commenting on BTO papers, one on open data access and one on the risks and benefits of climate change for British wildlife (analysis of 17 groups including vascular plants). The full report is available here and the paper should be published later in 2017 all being well". Kevin and Pete are finalising the Introduction to their book about the Threatened Plants Project, which is "in an advanced stage of preparation". Pete is also "investigating design and publication". Kevin Walker starts working on a preliminary analysis of New Year Plant Hunt records on 10th January. Pete Stroh's first task in January is liaising with County Recorders in England over Annual Reports for 2016. Kevin Walker is just completing assessment of impacts for 14 invasive alien plants as part of the GB Non-Native Species Secretariat workshop, where he led the plants team who assessed 122 species. Results will be published as a paper next year. Pete Stroh has completed the latest batch of Species Accounts and they can be downloaded here. Kevin has been researching current distribution of Hydrocotyle ranunculoides as "it seems to be exploding due to a run of mild winters. Up from tens of sites in the 1990s to well over 450 now, and that probably misses many records that have not been submitted to us. Working with Environment Agency & Broads Authority on this". 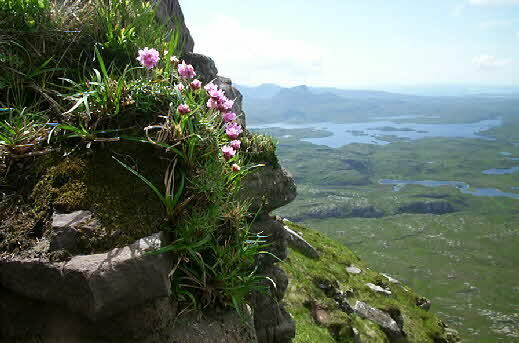 Kevin & Pete: "Are you interested in the results of the Threatened Plants Project? We have now completed all the accounts and are working on introductory analyses and chapters for publication as a book. Kevin says: "During August/ September I'll be in the office working on a number of things whilst trying to do a bit of fieldwork and collect seed for Kew's Millenium Seed Bank. Office projects include completing papers on how best to record native or alien status; the occurrence of rare, scarce and threatened species on SSSIs; the design and launch of NPMS and the traits of rare and scarce grassland plants". Read Pete Stroh's reports on surveying for the National Plant Monitoring Scheme and collecting seed for the Millenium Seed Bank. Pete Stroh says: "I've a small project with CUBG investigating the soil seed longevity of Iberis amara. Soil samples were collected at two depths (0-5cm and 5-10cm) from three sites a couple of weeks ago, and we're growing on the samples at CUBG. Although many authors have assumed persistent longevity, there is no published evidence to confirm this view, and I thought it would be nice to have more information for this Nationally Scarce and Vulnerable species. A paper detailing the findings will be written once germination has finished (ca. 1 year from now). Kevin Walker says: "I'm currently working on a paper outlining the development of the NPMS including how we chose the habitats, species, methods, etc. As part of this I've had to summarise all semi-natural habitats covered in one table. Quite a feat!" Pete Stroh says: "This week, I'm re-surveying permanent grassland plots set up by Terry Wells (first grassland ecologist at NCC) in the late 1960s in Wiltshire, focusing on plots that contained Tephroseris integrifolia. The survey will gather information on Tephroseris, where it still persists, and also grassland composition 50 years after the first survey. A paper discussing the results will be written this winter". Pete says: "Kevin and I co-authored this Open Access paper on the major drivers of biodiversity change in the UK". Atlas 2020: Mapping plant distributions is at the core of what BSBI does best and Atlas 2020 will be our third atlas of the British and Irish flora. This will provide hectad maps for all native and non-native species and provide an assessment of the changes that have taken place since the first (1967) and second (2002) atlases. Members and non-members can contribute by joining their local group and taking part in recording. Hybrid atlas: The Hybrid Flora of the British Isles was published by BSBI in 2015 and is the first comprehensive assessment of plant hybridisation at a national scale and provides novel insights into the scale and nature of plant evolution over the last two centuries. Threatened plants: A national survey of around 4000 populations of 50 of Britain’s most threatened species undertaken by BSBI members between 2008 and 2013. This survey provides information on the abundance, ecology, habitats and management as well as the threats they face. A report is due to be published shortly; draft accounts are available here. The data has already been used to model the relationships between rare species and their common associates. 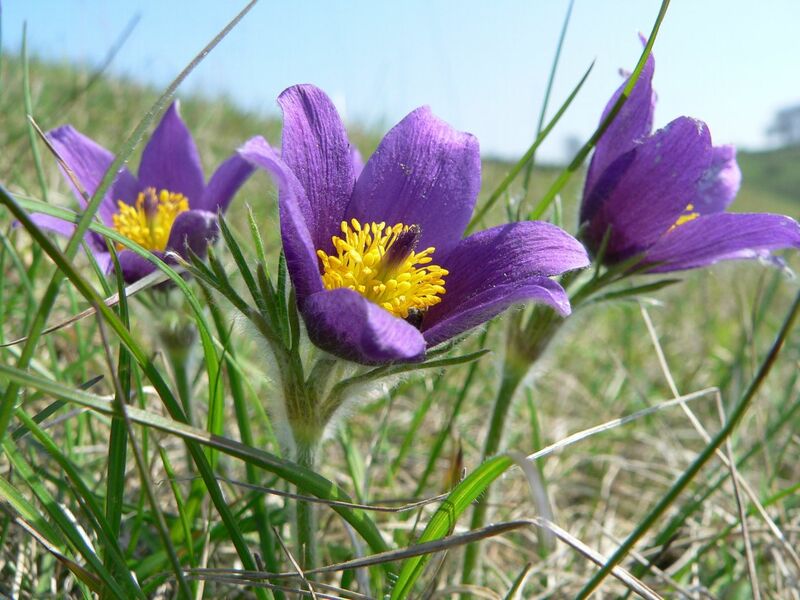 Climate change: BSBI data has contributed to research examining the impacts of climate change on British plants including losses of Boreal plants in lowland Britain and quantifying poleward range shifts. 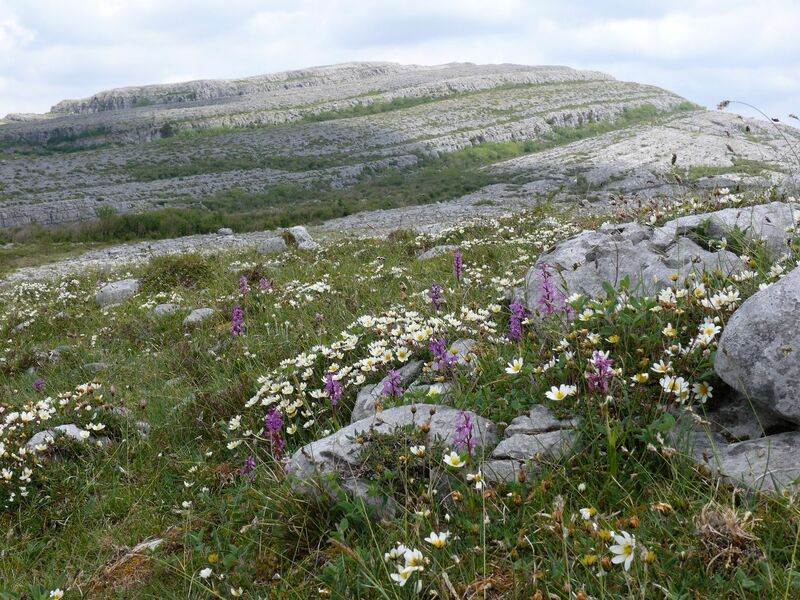 Since 2013 BSBI has also been running a public New Year Plant Hunt to assess the extent to which the phenology of British and Irish plants is changing in response to climate change. The BSBI also maintains a database of altitudinal ranges and this has great potential for quantifying altitudinal shifts which are known to be occurring on mountains in Europe due to increasing temperatures. Extinction: Extinction can be assessed at a variety of scales from sites, to county, country and ultimately global scales. BSBI data has been used by many researchers to quantify the scale of plant extinction over the last 200 years and identify the causes of losses that have taken place. Pollution: Pollution, especially airborne and terrestrial nitrogen, is emerging as one of the greatest threats to native plant species in the industrialised world. BSBI data have contributed to numerous papers that have quantified the nature and scale of this problem in the UK. Non-natives: The extent to which non-native plants are causing declines in native species is an area of active research. BSBI scientists have been instrumental in quantifying the numbers of species that have become established, assessing how they got here and where they came from, and providing ecological information and accounts: see the Non-Native Species Secretariat’s Information Portal. Axiophytes: Axiophytes (or worthy plants) are species with strong associations with habitats that we would wish to conserve. They therefore have great value as ‘positive indicators’ and are now being widely used for assessing and monitoring site ‘quality’ or targeting conservation, restoration and other land management schemes. Red Lists: BSBI scientists coordinate the GB Red Listing process for higher plants and recently worked with the Centre for Ecology & Hydrology to produce the first national Red List for England. Species information: BSBI scientists produce authoritative Species Accounts that include information on identification, distribution, habitats, ecology, threats and management. These are currently free to download from this webpage. Understand the causes of environmental change. Improve our understanding of species distributions’, ecology, evolution and taxonomy. Provide the evidence needed to inform species conservation and management and guide the implementation of environmental policies. Dr. Kevin Walker is BSBI's Head of Science, and works closely with other organisations and academics to promote and develop the scientific work of the Society. Please contact Kevin if you are interested in collaborative research, accessing our data or commissioning reports or information. Scientific research: The BSBI maintains one of the largest biological recording databases in the world, with structured data that are invaluable for analyses such as responses to climate change. We use these data to undertake research, often with collaborators in universities and research institutes. In 2012 an international conference was held to celebrate the breadth of this research. Data supply: BSBI recorders submit over a million records to our central online Distribution Database each year. Access is granted to BSBI recorders and individuals and organisations for research, conservation and land management purposes. If you would like to apply for access please do so here.